As an extension of our assistance to clients in building a skilled, effective and capable leadership team, we offer recruitment and executive search services to existing coaching clients, to help them expand their organisational capacity where required, to ensure any new people introduced into their executive mix are suitable from a skills, work experience and cultural values perspective. This helps our clients ensures that the harmonious balance at the heart of their improved team performance is maintained when new people are bought into your team. 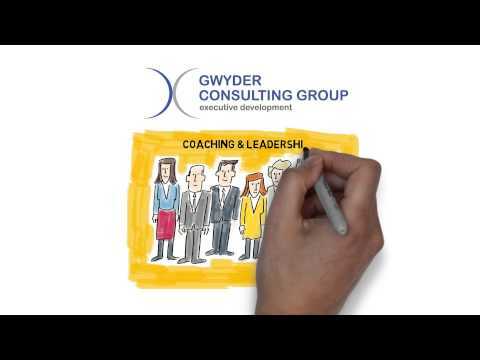 During the coaching relationship Gwyder develops an intimate detailed understanding of the organisational and cultural values at the heart of your business. Recognising the value that we have played in developing a more harmonious and effective team, many clients asked for our input into their recruitment process. This enables their business to leverage the considerable time we have invested in understanding their business and training their leaders as they grow and expand their workforce. After a detailed analysis of the role needs and an analysis of available talent in the market, we determine the most fitting procedure recruitment searches ranging from Executive Selection to Executive Search or a blend of both. Executive Selection involves the use of strategically placed advertisements and database search. This method works best where the aim is to capture as wide a field of candidates as possible within recruitment specifications. Executive Search is used to seek individuals that meet the recruitment criterion but are not keenly seeking a switch of employment. Confidentiality and discretion are the characteristics of this recruitment process, which usually targets expert skills and qualifications. Whichever approach we use, our focus is on providing the correct match between our clients’ expectations and our candidates’ abilities and experience. We add value by taking a lasting view on our candidate recommendations so that our clients’ immediate and long-term needs are satisfied. Prior to advertising, Gwyder carefully analyses the position to be filled. We may even have been involved in redefining the position so that it contributes more effectively to the company and at the same time offers candidates a better opportunity. Gwyder works with performance profiles, cultural fit and personality based selection in which individuals are evaluated for experience and personality in relation to a specific organisation. We do not make, nor believe in, general evaluations. Therefore, one can apply for a number of positions without consequences for subsequent applications. Our Recruitment Services Guarantee supports Gwyder Recruitment and Executive Search services. Where a person has been appointed to a permanent staff appointment through our recruitment service and that person leaves through lack of performance or of their own accord and without extenuating circumstances within the agreed guarantee period, Gwyder will provide its recruitment services to find a suitable replacement on a one off basis without an assignment fee. The Guarantee period is normally 12 months from start date. Costs will apply for re-advertising. We are available to meet to discuss the specific challenges hiring managers face. Simply fill out the contact form or call Kerry Little on 0419 475 089, and he will answer any questions you have about our recruitment services.